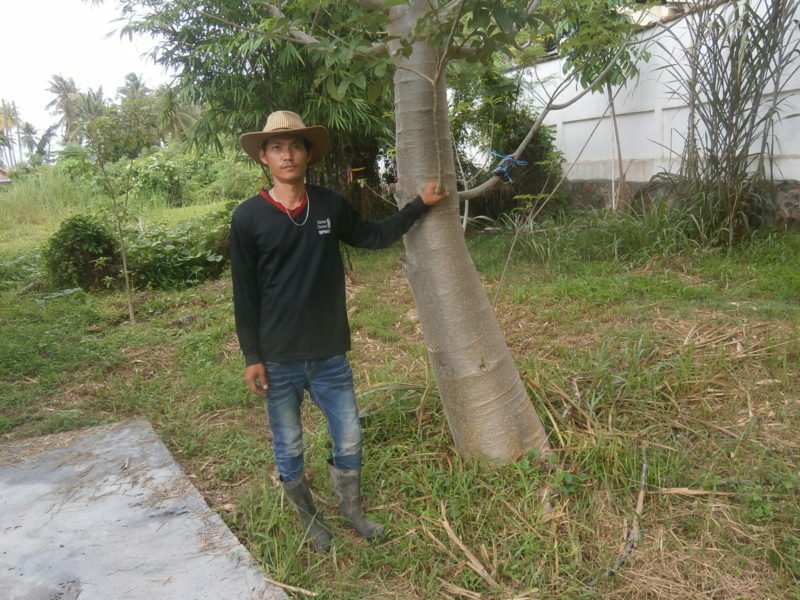 Visitors of Discovery Garden Pattaya are always amazed when they hear what the difference between our 12 baobab trees is. 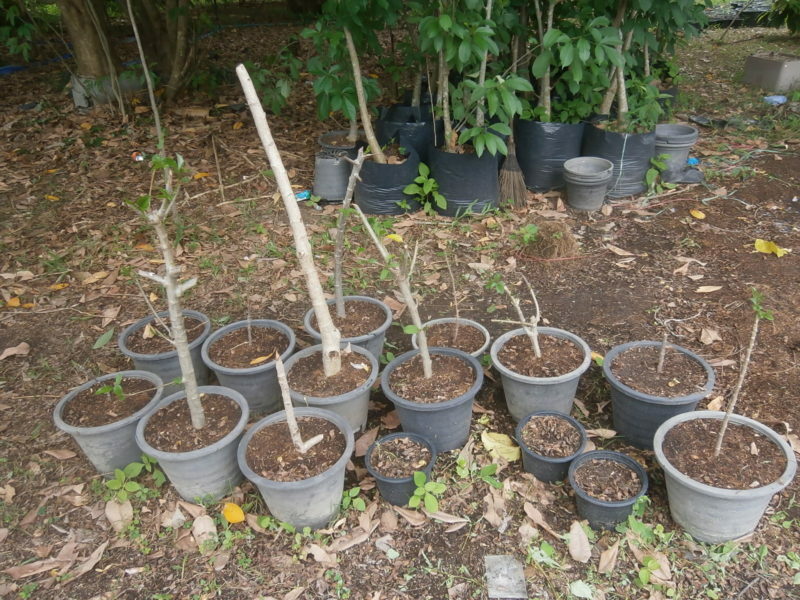 They are all about four years old, grown from imported baobab seeds. 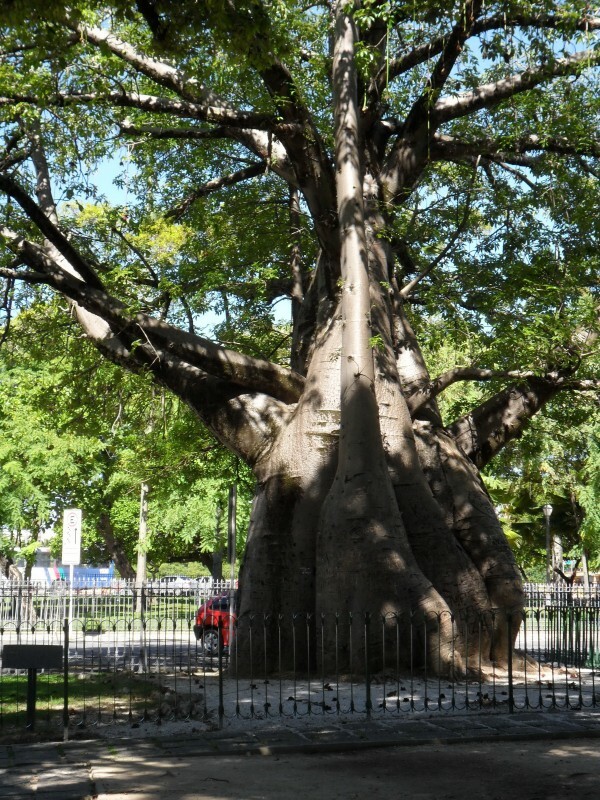 The largest, mightiest baobab trees are two years in the ground, the smaller ones one year and the smallest about two weeks. 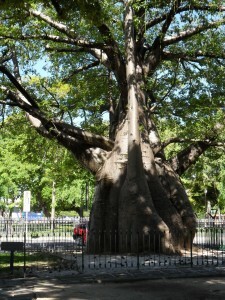 As long as baobab trees are kept in a pot, they are like in a straight jacket. Their roots cannot develop properly and they will not grow quickly. 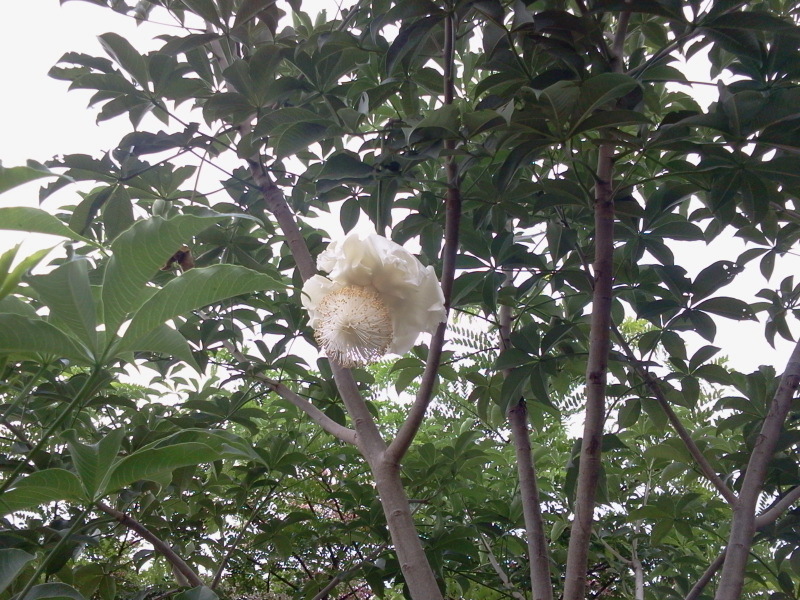 Baobab flowers are white and impressive. 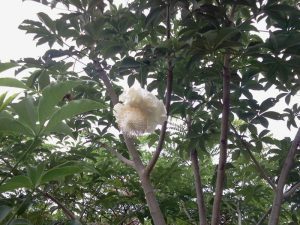 Now one of the 12 baobab trees at Discovery Garden Pattaya developed a first flower. Frankly speaking I missed it, but one of the Thai gardeners pointed out the first baobab fruit to me. 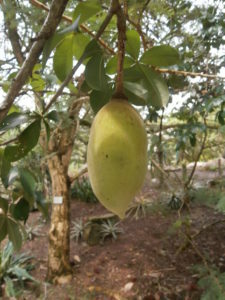 The baobab fruit tastes a bit like grapefruit, combined with pear and vanilla. Unfortunately the fruit vanished before I could taste it, some animal was quicker than me. The trunks of our baobab trees are mighty. There will be another chance next year to taste baobab fruits. 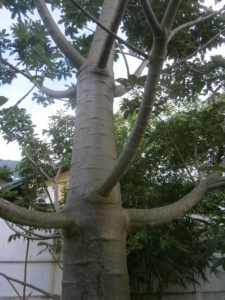 In Thailand baobab trees shed all leaves during the hot and dry season. When the rain returns in May or June they come back to life, make first some leaves and then flowers. Four year old baobab tree, two years planted in the ground. Baobab trees can store lots of water which can be taped during the dry season. 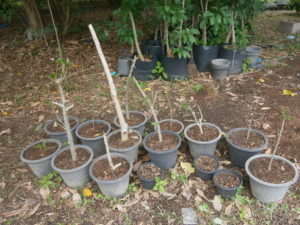 Another interesting experiment: We cut twelve branches from our baobab trees and used them as cuttings. Ten of the cuttings developed leaves within two weeks. If you are looking for baobab trees in Thailand or Laos, you can purchase them at Discovery Garden Pattaya or Nong Khai.